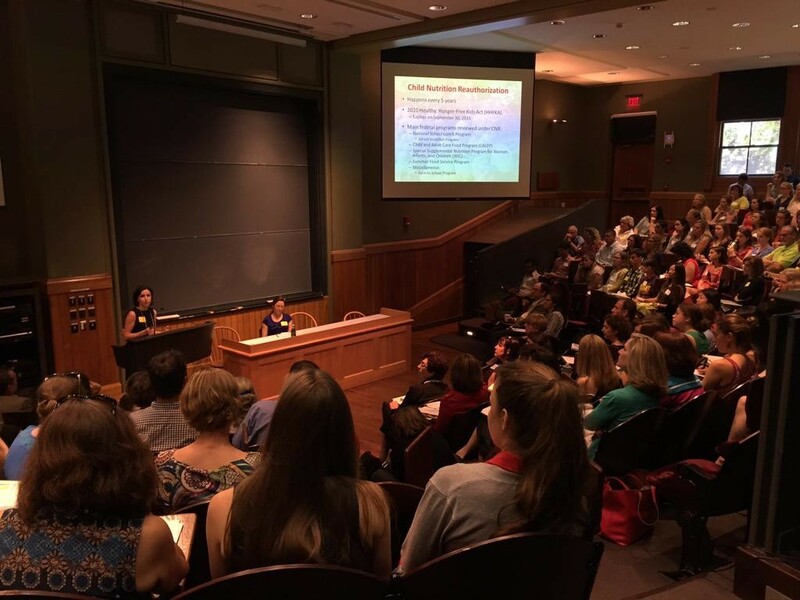 On June 10, FLPC co-hosted the first annual Healthy Food Fuels Hungry Minds conference at Harvard University to discuss how to improve the quality of food in schools. Those attending the conference held diverse roles from school administrators to health experts to parents to school food service workers. 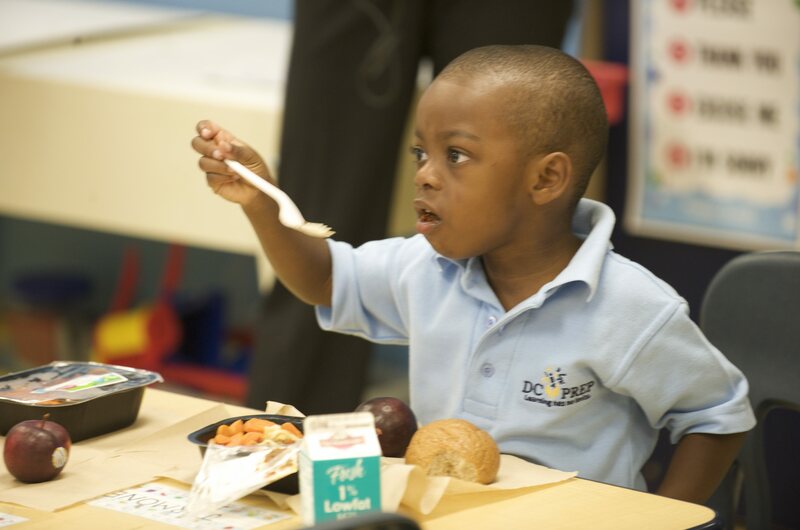 Many attendees discussed the importance of getting rid of “kid food” in schools and instead serving our children “true food,” a term coined by Minneapolis public schools to describe flavorful, nutritious menu items in lieu of the stigmatized “healthy food” term. As a third-year law student that previously had only a rudimentary knowledge of school food, I left the conference feeling invigorated. I realized that everyone, including me, has a role in creating positive changes in the school food environment and that we can create change on multiple levels: at an individual school, within a school district, and through state and federal policies. FLPC Director Emily Broad Leib focused her presentation on how federal policy change affects school food, highlighting the upcoming Childhood Nutrition Reauthorization (CNR). The current CNR, the 2010 Healthy and Hunger Free Kids Act, will expire in September 2015. Advocates are pushing for a wide variety of improvements to school food regulations, including: increased funding for reimbursable meals, food literacy programing, kitchen equipment grants, kitchen staff training, and farm to school grants. FLPC Research Fellow Bettina Neuefeind discussed policy strategies that local and state actors can implement to improve school food, highlighting examples from the School Food Intervention Toolkit that FLPC plans to publish in summer 2015. She described that the most effective policies are those that introduce kids to growing and preparing food, rather than just being served healthier food in the lunch line. Food literacy programing in schools, such as farm to school, taste testing, and Iron Chef competitions, have all increased students’ preference for true food. Chef Ann Cooper championed these types of food literacy programs during her keynote address. She proposed that there should not be a different standard for foods served to students in school – adults and children should all have access to good tasting, wholesome, and nutritious foods. The trailblazing Chef Ann compared the price of a daily latte, $4, with the amount we as a country are willing to invest in a school lunch for a child that qualifies for a free meal, $2.98. She also acknowledged that our challenges to better food for kids are bigger than just school lunch, saying we need to improve our country’s food system, making healthy foods more accessible and decreasing consumption of highly-processed foods. In addition to the lack of funding to support more nutritious school meals, there are other hurdles. As school food directors pointed out, school food is a highly regulated industry. Over the course of the conference, I was consistently impressed by the talented and driven food service directors that presented on their persistent and creative efforts to introduce true food in their schools. For example, Ron Adams, School Nutrition Services Director in Portland, Maine, overcomes the limited growing season in Maine by purchasing and freezing local produce during the summer months. Likewise, many Massachusetts schools are serving under-utilized species of fish from local fishermen. Bertrand Weber, Food Services Director for Minneapolis Public Schools, said it was crucial to ban the sale of competitive foods, a la carté and vending machine sales from his schools to increase participation in breakfast and lunch meal programs. If you are interested in learning more from the conference speakers, their full presentations can be viewed here. For more ways to promote healthy foods in schools, stay tuned for FLPC’s School Food Intervention Toolkit set to be released at the end of the summer. To stay up to date on our work on school food and FLPC’s other projects, follow us on Facebook and twitter. The views reflected in this blog are those of the individual authors and do not necessarily represent those of the Center for Health Law & Policy Innovation or Harvard Law School. This blog is solely informational in nature, and not intended as a substitute for competent legal advice from a licensed and retained attorney in your state or country.